Experience one of the biggest and most exciting cities in the world! A Portuguese course in São Paulo will reveal a city of incredible activity and diversity, with people and cuisine from all over the world. 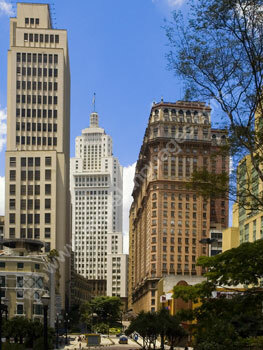 Extraordinarily rich in culture, São Paulo is blessed with world-class art galleries, museums and theatres, as well as some of the best nightlife in South America! Colourful street markets, where you can practice your Portuguese with vendors selling everything imaginable, hide in the shadows cast by soaring skyscrapers. 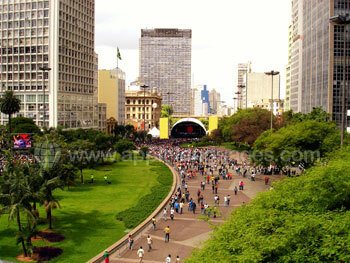 Countless parks offer a green haven from the bustle of the city, with Ibirapuera Park granting beautiful views. You can also witness stunning panoramas of the metropolis below from the Banespa building, which was inspired by the Empire State Building. For a glimpse of paulistanos’ passion, head to the sublime, Neo-Gothic São Paulo Cathedral, or to one of the city’s seven football stadiums! 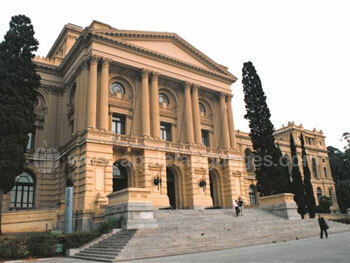 The affluent neighbourhood of Jardins, on the edge of the city centre proper, is home to our Portuguese language school. Ibirapuera Park is close by and you’ll also find a hugely varied selection of restaurants, cafés and shops in the leafy Jardins area. As well as comfortable, well-equipped classrooms, our school also has a computer room offering free Internet access, a snack area, wireless Internet connection and student lounge. 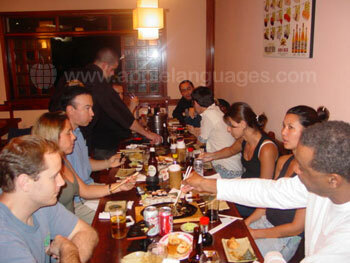 All of our school’s teachers are highly qualified, native Portuguese speakers. What’s more, the maximum class size is just five students, so you’re sure to make great progress if you learn Portuguese in São Paulo with us! 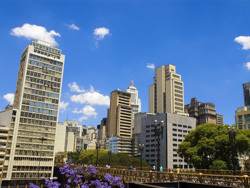 The Standard Portuguese course in São Paulo comprises 20 group classes per week, leaving you with plenty of time to explore the city. Consisting of 30 Portuguese lessons in groups each week, the Intensive course gives you more time in the classroom, allowing you to make even greater progress. 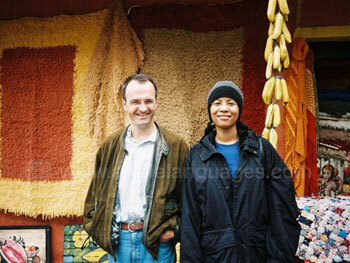 If you want to learn Portuguese as quickly as possible, take Private Lessons. A program of one-on-one sessions gives your teachers the chance to concentrate solely on improving your understanding of the language. They can place more emphasis on areas of the language you have difficulty with or have more interest in. The course will be tailored to suit your needs! 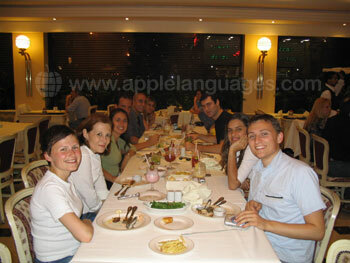 Undertake a Volunteer Work placement to further your language skills and put something back into the community. Our school offers placements for eight weeks (including four weeks of Portuguese lessons) in hospitals, youth outreach projects, orphanages and other organisations. Volunteer Work is a great way to help others and put your Portuguese vocabulary to good use! Please feel free to contact us with any questions you may have about our Portuguese courses in Brazil – we’ll be happy to help! 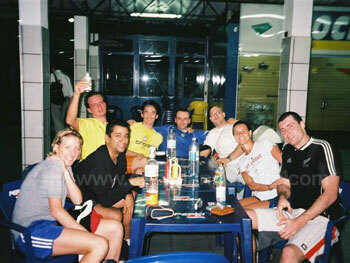 Practice your Portuguese all the time – live with the locals! Our school carefully selects its host families, ensuring you friendly, good quality accommodation whilst you learn Portuguese in São Paulo. Each day you’ll have breakfast and an evening meal with your family, giving you the chance to chat over the dinner table. In common with our other Portuguese language schools, our São Paulo school runs a varied program of extra-curricular activities. Eat lunch out with tutors, browse stylish shops, see paintings by Picasso and Rubens at the Museu de Arte de São Paulo, or tour the city’s different neighbourhoods. 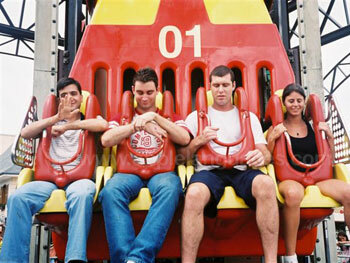 Activities change from month to month, with some being free of charge and others carrying an extra fee. 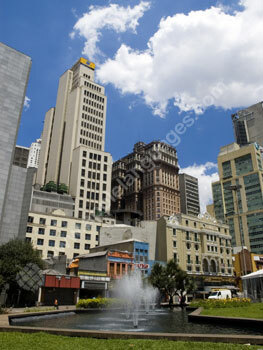 You can book one-way or two-way transfers from São Paulo/Guarulhos International Airport through our school. The airport receives flights from cities across the world, including many in Europe and the United States. 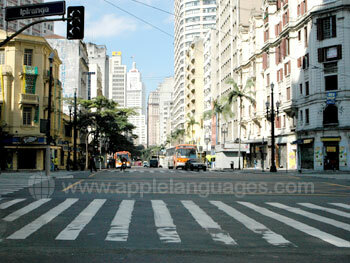 Contact us if you have any questions about a Portuguese course in São Paulo. Average score for our school in São Paulo based on 6 previous client reviews. I really enjoyed my stay at the school. I spent 3 weeks there and the level was exactly the right one. Not too easy and neither too difficult. 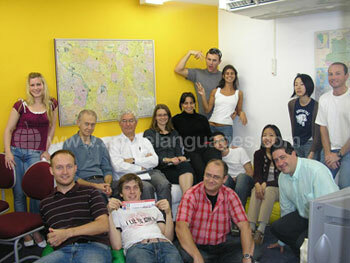 They are experienced teachers and very friendly. Very thorough in meeting me at the level I was & customized course to fit my needs. Hopefully will return in 2019! 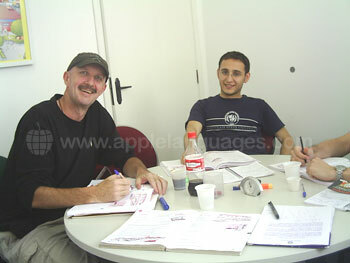 The classes were convenient and the teachers are very helpful and professional. I learened alot! I am extremely satisfied with the whole experience. Everything was trouble free. Great family! Very comfortable. Best experience. Perfect. Thank you! I really enjoyed the language course and it has definitely helped me and given me confidence to navigate my way around Brazil. The teachers were excellent, the course very practical and the other students really friendly, I have made some great friends and enjoyed myself. I would definitely recommend this school.